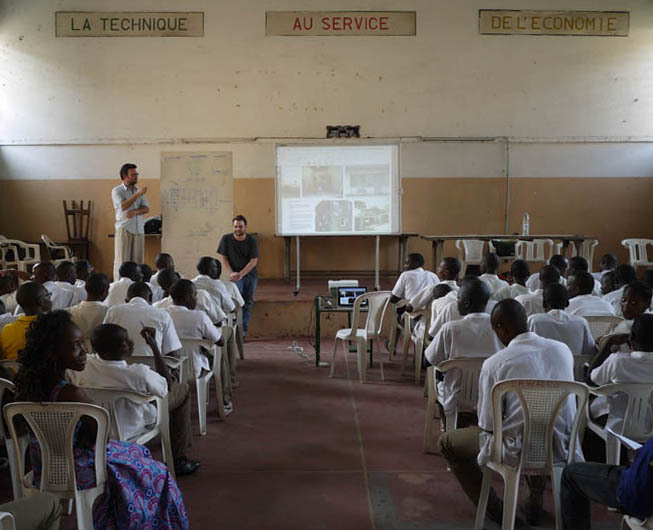 Together with Raw Foundation (Calanne Moroney and Bart-Jan Hooft) and Lucas Grandin, we gave two presentations in educational institutes of Douala. 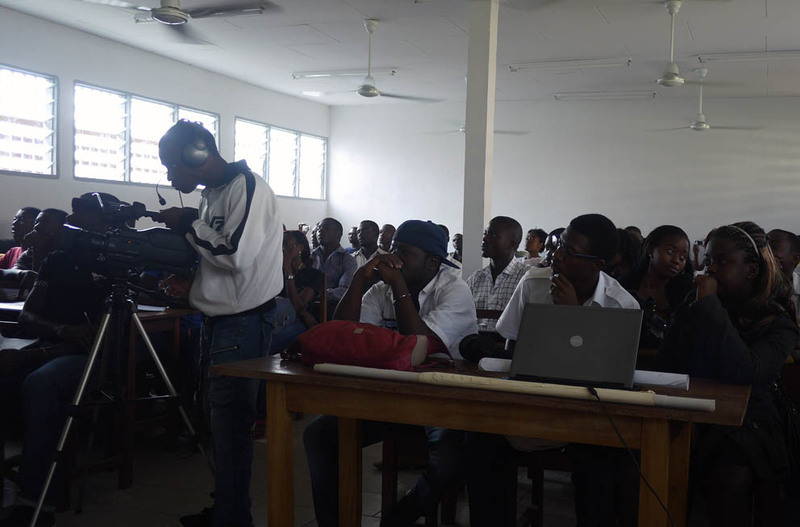 The first was in Douala at the Lycée Technique Douala Koumassi and the second one was at the Insitut des Beaux Arts de Nkongsamba (of the University of Douala), a 2,5 hour drive from Douala. The aim of the presentations was to find interested students who are willing and capable to work and think with us about the realization of the Pavillon Urbain de Bonanjo (PUB). The presentation (given by Lucas Grandin, Kamiel Verschuren (ICU), Bathilde Maestracci (doual’art), Calanne Moroney (Raw) and Bart-Jan Hooft attracted many students who showed great interest and asked interesting questions. The workshops aiming at realizing the the transformation of doul’arts pavilion will start next week, after our visit to the University of Yaoundé.